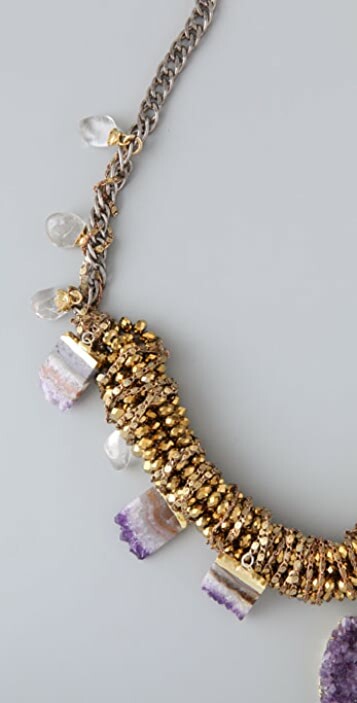 This oxidized silver-plated curb-chain necklace features faceted metallic beads, wrapped gold-tone chains, clear crystal beads, and amethyst crystal pendants. 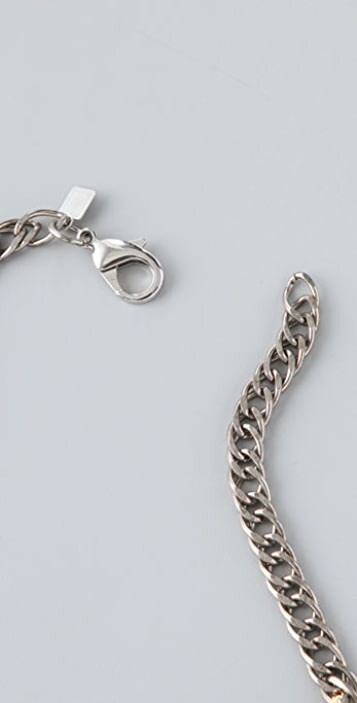 Lobster-claw clasp. 25" long. 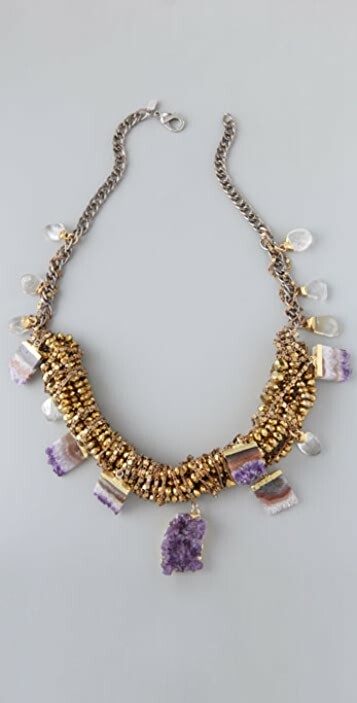 * NOTE: Each necklace is unique. Stone size, shape, and shading may vary.